2015-06-26 The iconic Spirit Island in Maligne Lake in Jasper, Alberta. A truely beautiful scene, expertly shot. 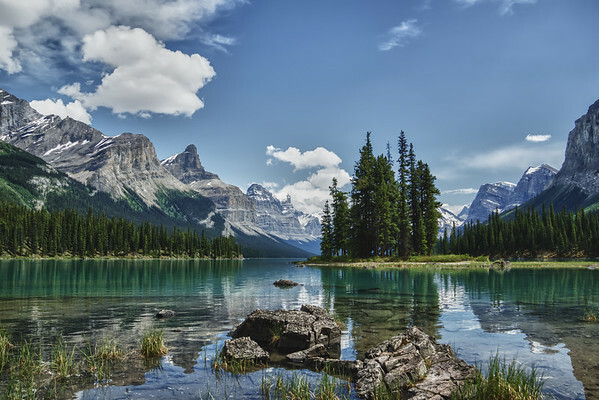 Such a great classic shot from Maligne Lake! Such a beautiful place! Would love to visit, even during the frigid winter! Can imagine how breathtaking this is in person! This is beautiful. What a great place. Oh my!! This is gorgeous!